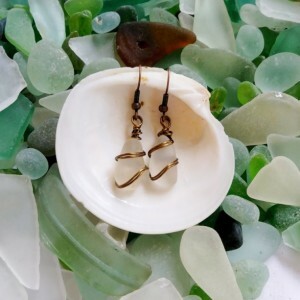 Clear frosted sea glass earrings wrapped with antique bronze wire. These earrings are perfect for any beach lover, with their natural frosted sea glass from the East coast of Florida. These earrings are simple yet classic and feminine, and are sure to invoke the feeling of the sea breeze and sandy toes. 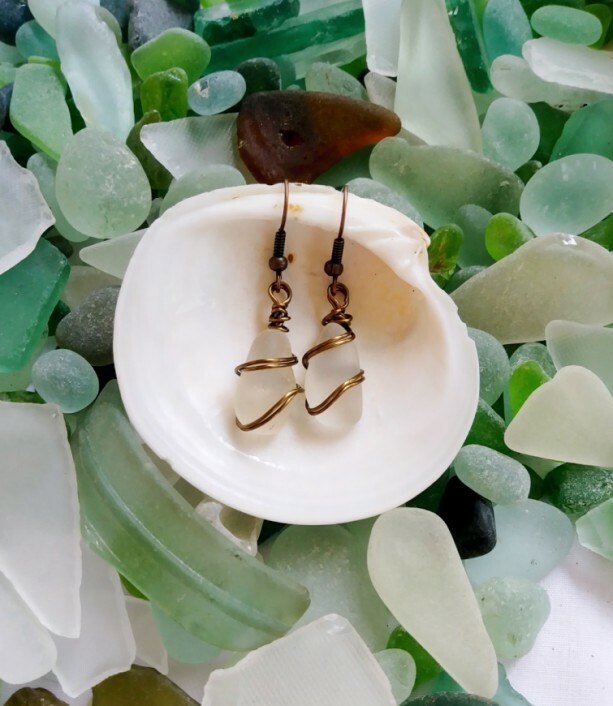 -Clear frosted sea glass from the East coast of Florida -Antique bronze artistic wire wrapping -Antique bronze ear wires -Sea glass measures approximately 1" x .5"